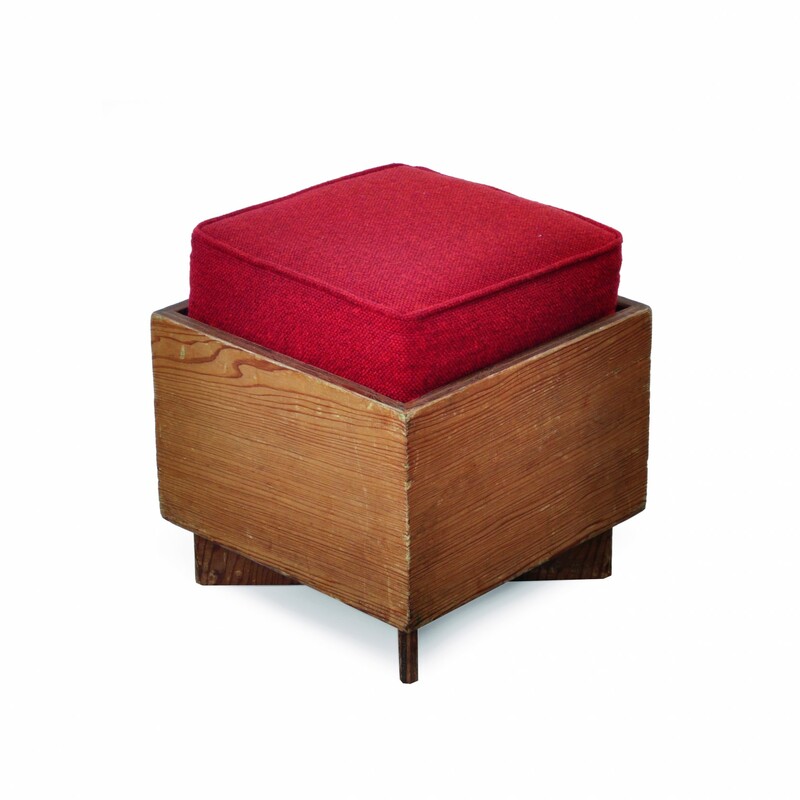 hassock | Toomey & Co. Original finish and probably upholstery. Some roughness to the edges. The J.A. Sweeton Residence was built in 1950 in Cherry Hill, in Camden County, New Jersey, United States. At 1,500 square feet (140 m2), it is the smallest of the four Frank Lloyd Wright houses in New Jersey. This Usonian scheme house was constructed of concrete blocks and redwood plywood.